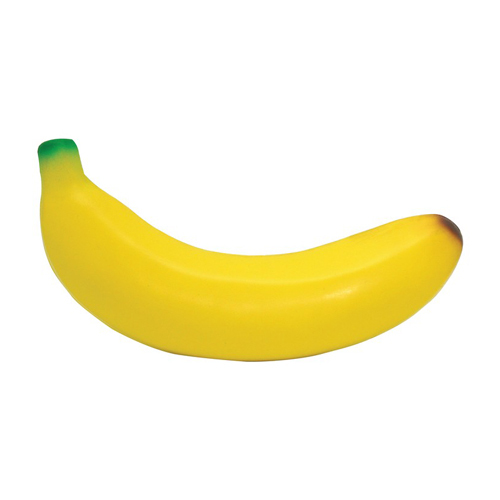 Banana shaped fruit stress reliever helps relieve stress and promotes healthy eating habits! Go bananas while showing your support with your logo to customers and employees making healthier choices! Great for grocery stores, gyms, dieticians, and corporate wellness programs! Products are not intended for use by children or pets. They may present a choking hazard to children under 3 years of age. Item Size : 5.25" X 2.25"